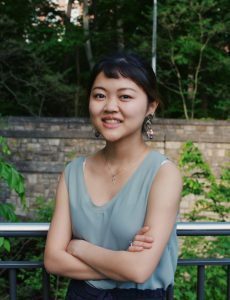 The Department of English is proud to announce Sarah Liu, a junior undergraduate English major, just won the Summer 2018 Special Collections DURA application for her project, “Book Illustration in Shakespeare and Racine,” funded jointly by the Winston Tabb Special Collections Research Center of the Sheridan Libraries and the Charles S. Singleton Center for the Study of Premodern Europe. The Dean’s Undergraduate Research Awards (DURA) are designed to promote independent research projects among our exceptional undergraduate students in the Krieger School of Arts and Sciences. Photo Credit: Yoojung Beatrice Shim.